Please Note: This is our first price increase in 10 years due to the US exchange rate. Dream Protein leads the “whey” with its proprietary Hormone-Free, Ultra-LowTemp™ Whey Protein Isolate. We start with hormone free whey from New Zealand cows that are “Meadow Fed” and not given any rBGH or BST hormones! Dream Protein is made with an Ultra-Low Temp™ process, which is beneficial because the protein is not denatured (damaged) from an extensive heat treatment. This means that you’ll receive all the essential and non-essential amino acids plus naturally occurring immunoglobulins (which are necessary for proper immune function). Dream Protein also contains a soluble fiber (FOS) that has been shown to encourage growth of favorable bacteria which help to strengthen the immune system, assist in digestion of food, as well as, to help promote regularity. 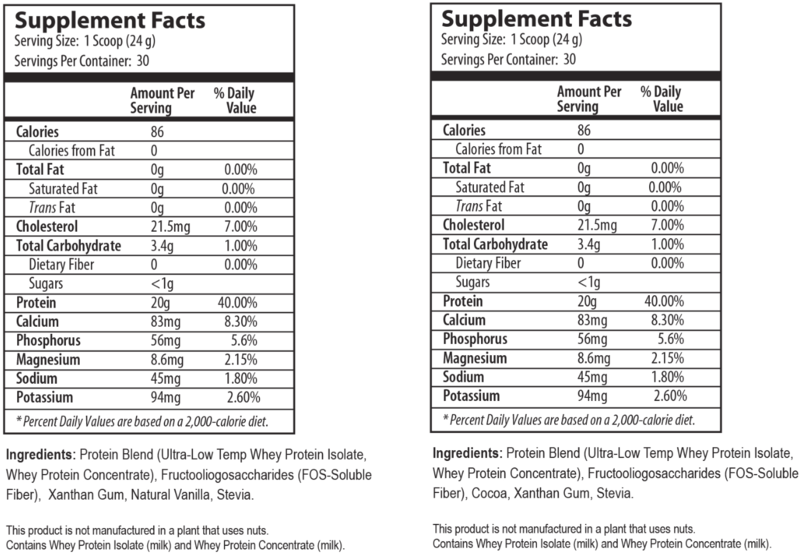 Whey protein is an excellent protein choice for individuals of all ages. It provides a number of benefits in areas including sports nutrition, weight management, immune support, bone health and general overall wellness. 720gram container. Suggested Use: As a dietary supplement, take one or more scoops daily to supply your diet with protein. Mix one level scoop with 6-8 ounces of water, milk or your favorite beverage. Contraindications: Not recommended for individuals with an allergy to dairy protein sourced from cows. Dream Protein, is however, low in lactose and is suitable for most people with lactose intolerance. Contains whey protein isolate (milk). Dr. Turner ND's Tips: Add and blend protein after all ingredients have been blended.